Despite all of us having gotten our flu shots this year, the flu hit all three of us pretty hard this weekend, and we are only just now starting to recover. Well, Nick and I are starting to recover – the baby became energetic and noisy again just as we started to fall ill. It was the worst of times. I had intended to share a recipe, but to be honest all we ate this weekend was take-out pho. Today we might leave the apartment and get some matzo ball soup, but at this point the tremendous effort required to put on something other than fleece footie pajamas is so daunting. I’m currently simmering a chicken and some veggies for broth, so that may be all that sustains us until I declare us ALL BETTER! and decide to move on. Side note: If you’re ever not feeling very well, the best thing in the world is chicken soup made from a stock with a whole chicken as its base; simmer – don’t boil – the chicken with carrots and parsnips and celery and onion, plus whole cloves of garlic cut in half, a lemon halved, and a handful of dill pickles, and a couple of bay leaves, a sprig of thyme, and parsley bundled and tied in cheesecloth. Fill your stock pot with water to about ten quarts, and let it go for four hours. I learned that from Ina Garten, who is the person I’d most like to be when I grow up. I’m strongly considering painting WWID (What Would Ina Do?) in glitter across my hood fan lest I ever forget. Anyway. I had meant to give you a recipe, but today is not the day. Today is the day for a giveaway though; I’ve been sitting on this one for awhile. 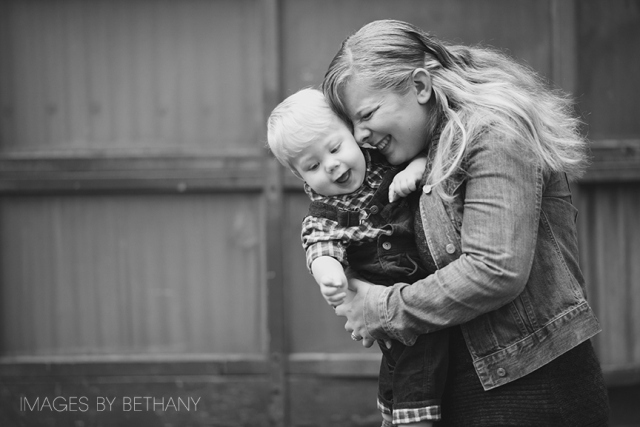 If you’re in Vancouver or the surrounding area, I’d like to give you a professional photo shoot from Images by Bethany, a really, really talented local photographer who I met through VancouverMom.ca and who is also friends with my friend Jenna. She made me look like a normal person, which is no small feat – most of the time when I get my picture taken I do this weird thing I bare my fangs in an attempt to smile and tilt my head down, tripling the number of chins I have while also accentuating my grey under-eye bags. I’m pretty lucky to have this sparkling personality to fall back on. Right. 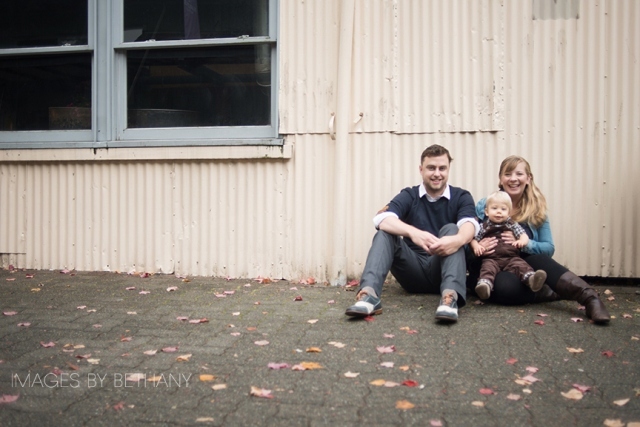 Anyway, Bethany is amazing, and she has graciously offered to give one lucky local family a one-hour professional photo-shoot at Bethany’s studio in Gastown or at the location of your choice, followed by a viewing session and an 8×10 print of your favourite photo from the day. Your photos will be available for viewing online for three months; you can purchase additional photos if you love a whole bunch of them, but no purchase will be necessary. The thing I liked most about our session is that it was totally relaxed – it was very casual, and since everyone was comfortable the photos look natural. Better than natural, even – we look like better versions of ourselves … which is surprising because our shoot was at 8:00 am on a Saturday and we have a hard enough time looking normal at peak hours. And don’t let the word “family” deter you here – I think family can be any combination of the people you like; whether that’s you and your little ones and that person you married or live with, or you and your parents, or you and your special someone, or you and your furry four-legged companion. If you roll solo, that’s okay too. Can you imagine blowing up an enormous photo of you and your cat looking regal and windswept – maybe on a cliff over the ocean – to hang in your dining room? I totally want to do that. To enter, leave a comment below or on the photo on my Facebook page telling me who you’d like to be photographed with, or how you cope with having a camera pointed in your direction. The contest will run until January 14; when I get home from work that day, I’ll put all the names in Nick’s grimy old hat and pick a winner. I’ll pass your name and contact info along to Bethany, and she’ll contact you to set up your session, anytime between January and April. This contest is open to Metro Vancouver residents. What a fabulous and generous offer Emily!! Love your photos by the way. I would jump at the chance to get a picture taken with my sweetheart and my cat – both very special to me! OKay, I don’t know if my first comment worked. I’d love photos of me and the baby, and my husband can come too I suppose … and if Bethany can get me with my eyes open (always blink when the flash goes off) she is one talented lady. 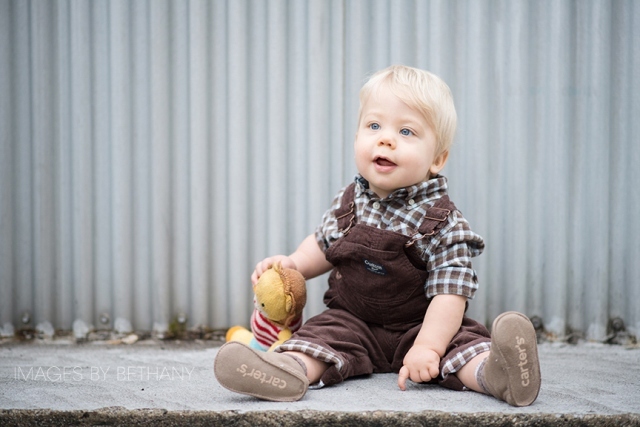 If I won a portrait session with Images by Bethany I would bring my 16 month old daughter and my husband. I cope with cameras in my face either by being a ham (usually rather effective) or pretending to ignore them. The pretending to ignore shots are usually really awful, whereas ham shots are always funny. In these family shots I’d hope I could manage natural! I’d like photos of my whole family.. esp me and my baby. i am usually the one who takes photos for my baby and husband so i don’t have too many photos with me in it!! First – good grief are you ever funny. Please never ever change. Second – I would love to have photos taken with my husband, despite the fact that I can’t keep a normal smile for all that long. Sooner rather than later I start to pretend to smoke a pipe (often while doing my Popeye impression.) But – to my credit – I’m a pretty good smizer..
I’d love to enter this contest for photos of our soon-to-be baby and expanding family. My wife and I HATE getting our photos taken, but feel that we need to show our child that we are comfortable in our own skin and to teach him/her not to fear a camera. 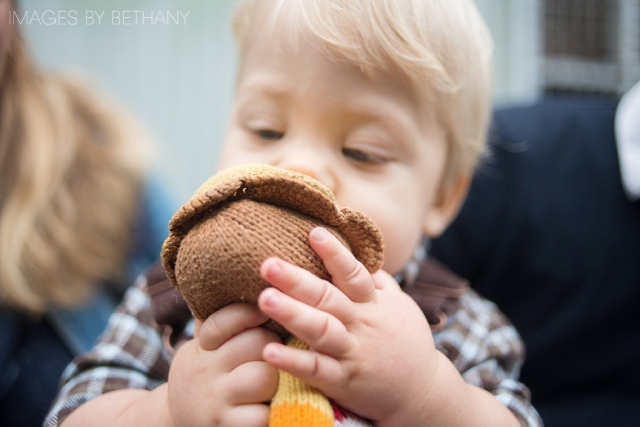 Plus, we’d love to capture the fleeting moments of babyhood and early-parenthood before it’s too late. I’m glad all three of you are feeling better. I’d like to have a picture taken together with my husband, son and daughter. We always forget to take a family pic together. I love reading about all the cooking you do and everyday life. It’s funny! Get well! I would love to be photographed with my son and my man to have photos of the three of us to give the grandparents. Love your mac and cheese recipe! 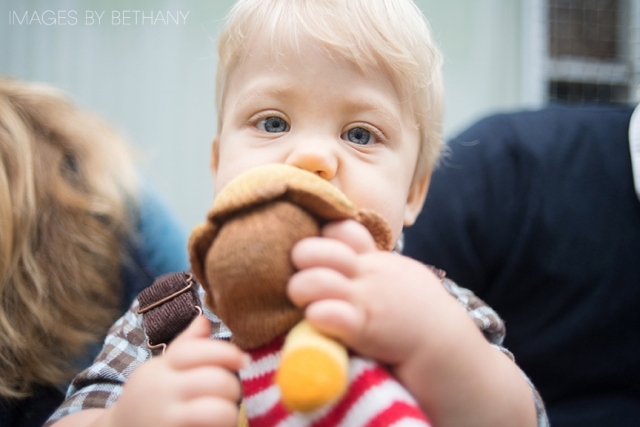 I bought my sister a newborn session with Bethany as a baby shower gift. It was the funnest gift to give, and this week they get to take my new niece to meet Bethany! I’ve also been lucky enough to have Bethany photograph me, and have never garnered so many Facebook “likes” on any other photo I’ve posted. She’s so talented! Good luck, everybody! I’m in like Flynn! I would love to have photos taken with my honey to celebrate the new year and 3 years together! Also – I would like to deep fry vegetables soon! Pictures with my husband and my little boy! It has been a while since we have anything formally done as a family -well since his birth. The most challenging thing is getting us to all look at the camera without anyone blinking. Sitting still is also a challenge with a toddler! I would like a photo with my husband and 7 month old son. My husband and I are not very photographic so we need a professional to work their magic! Our family are on the other side of the world so would like to reassure them that we can be normal looking!! Also love the more natural shots here! !